It’s been a long time in the making, but we finally have Robert Rodriguez’s first trailer to the sequel of ‘Sin City‘. ‘Sin City: A Dame To Kill For‘ was my favorite story out of Frank Miller’s ‘Sin City‘ story arc, and it looks like almost everyone is back in the sequel along with a few newcomers including Josh Brolin, Eva Green, and Joseph Gordon-Levitt. They join Bruce Willis, Jessica Alba, Mickey Rourke, and Powers Boothe. The film opens August 22nd. 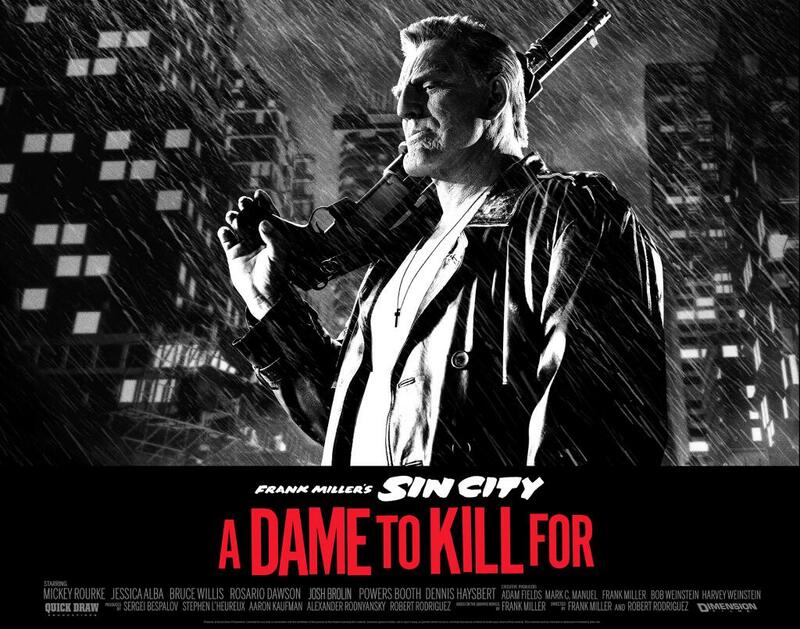 Official Synposis: Co-directors Robert Rodriguez and Frank Miller reunite to bring Miller’s visually stunning “Sin City” graphic novels back to the screen in SIN CITY: A DAME TO KILL FOR. Weaving together two of Miller’s classic stories with new tales, the town’s most hard boiled citizens cross paths with some of its more notorious inhabitants. SIN CITY: A DAME TO KILL FOR is the follow up to Rodriguez and Miller’s 2005 groundbreaking film, FRANK MILLER’S SIN CITY. This entry was posted on Wednesday, June 11th, 2014 at 1:46 pm	and is filed under Comics, Film, News. You can follow any responses to this entry through the RSS 2.0 feed. You can skip to the end and leave a response. Pinging is currently not allowed. « Blu-Ray Review: ‘True Detective’ Season 1′!